A couple weeks ago we introduced you to the sexiest crossover SUV we’ve ever seen: the new Volvo XC60. Today, we introduce you to its little sibling, the second sexiest crossover SUV we’ve ever seen: the new Volvo XC40. Back in 2009, Geely, the Chinese automotive manufacturing company, took over Volvo, gave them a bunch of money, and told them to do what they want with it. Volvo took that freedom and completely turned the things around by becoming the pinnacle of great automotive design. I mean, leave it to the Swedes, right? They’ve already conquered the mass-produced furniture world — why not cars? The launch of the Volvo XC40 also includes a brand new method of car ownership that will be as “hassle free as having a mobile phone,” according to Volvo. The subscription-based service, ‘Care by Volvo,’ will give you the opportunity to drive away in a brand new Volvo without the worry of down payments, insurance, taxes, and service fees. It’s all covered under a ready-negotiated monthly fee. It also includes a new car every 24 months. The only catch here is that the service is only available for the XC40 and it’s not yet available in the Canadian market, but Volvo says there is a plan to expand. The Swedish-designed and Belgian-built entry-level SUV is really made for city driving, rather than off-road adventures. Under the hood is a 2.0 litre, four-cylinder turbocharged engine producing 250 horsepower. There are plans to expand that with a three-cylinder turbo, hybrid, and fully electric models in the future. As much as we love the exterior design of the XC40, the interior is really where this SUV shines. It’s designed to work around you and not the other way around (the way good design should be). Inductive charging is included in the centre console, so forget the days of wired chargers for your phone, and to keep your new baby immaculately clean there’s a removable trash bin and storage spaces big enough for your laptop. We’re excited to see Care by Volvo come to Canada, but in the mean time, we’re going to sit back and see how this sibling rivalry unfolds. 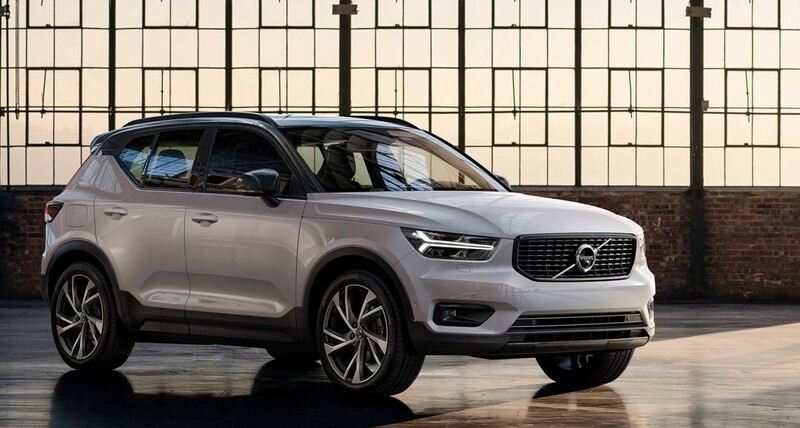 Will the XC40 bump the XC60 out of its spot as the best-selling Volvo in North America? Grab your popcorn.